Amazon acquired video doorbell company RING for over $1 Billion in 2018. 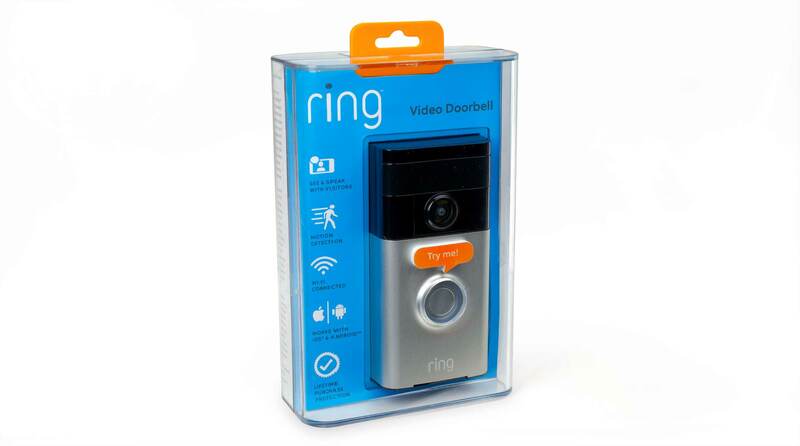 We designed the RING video doorbell packaging in 2014 when they were still a startup. Nice to see them grow and be successful. It proves that good design pays off. Thanks to the “RING” video doorbell you can answer your doorbell with your smartphone. “Ring” is among the first wave of smart home products to hit store shelves. The newness of the category creates unique packaging challenges and opportunities. Therefore the initial pitch to target audiences is the package. As such, the design requires quick educational communication at the point of sale. Bluemap Design was asked to help them to design an engaging and innovative packaging. The “Ring” packaging does just that. It introduces a new product type, invites customers to press and ring the doorbell, explains the method of installation with simple, direct graphics and establishes a friendly relationship. The package is composed of clear recyclable plastic with a rounded rectangular form. The signature blue background with minimal iconic graphics set a stage to display the actual product. The product stands proud and is visible from a wide viewing angle. A package opening, in-line with the ring button, invites shoppers to press it and try out the “ring” as if it were on a door. This friendly interactive engagement welcomes the customer to “ring” physically, visually and audibly. Ideally, it helps them open the door to purchase. 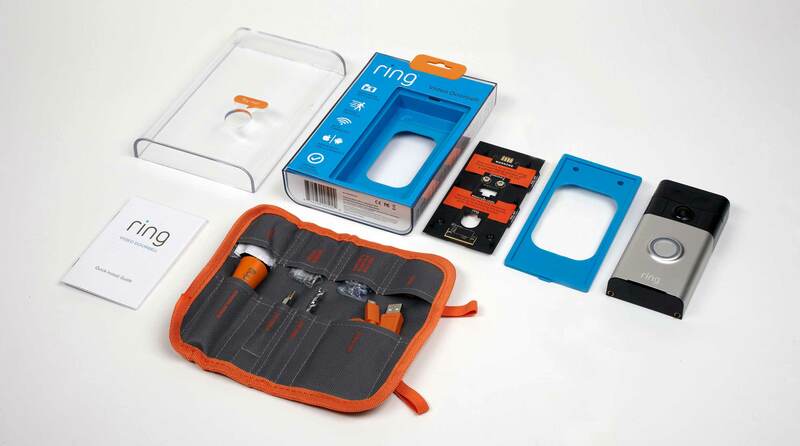 Solving the packaging challenge to this “smart product” went beyond the “Ring” itself. Included in the package are all the tools necessary for installation such as screwdriver, level, drill bits, caulking, screws, anchors, and USB cord. These tools and material need to be organized to support the installation, potential maintenance and relocation need to require more than dropping them into a box. A roll-up tool pouch with labeled pouches holds and identify each item organizing them for use and securely storing them with an integral elastic band latch was designed. The “Ring” package design sells and protects the product but also extends the brand relationship and user experience well beyond the first “ring”.